The GALAX GeForce RTX 2080 EX 8GB Video Card (28NSL6UCU9EN) delivers smooth visuals on high-resolution displays using the latest graphics-rendering technologies developed by NVIDIA. The Galax RTX 2080 video card features a best-in-class graphics processor with 2944 CUDA cores and eight gigabytes of GDDR6 video RAM. The GPU attains a maximum core clock speed of 1710MHz while the memory clock goes up to 14000MHz. Two 100mm cooling fans, a robust heatsink, and five composite heat pipes provide efficient heat dissipation for the card. Turing technology combines real-time ray tracing, new shading techniques, and machine learning to produce lifelike graphics. Ray tracing makes light rays reflect or refract realistically, giving objects and the environment a true-to-life semblance. The GALAX GeForce RTX 2080 EX Video Card with 8GB VRAM is designed to provide gaming enthusiasts and video creators the best high-quality graphics rendered realistically on UHD screens. Its top-tier features make it suitable for use in desktop PCs used for graphics design or gaming. 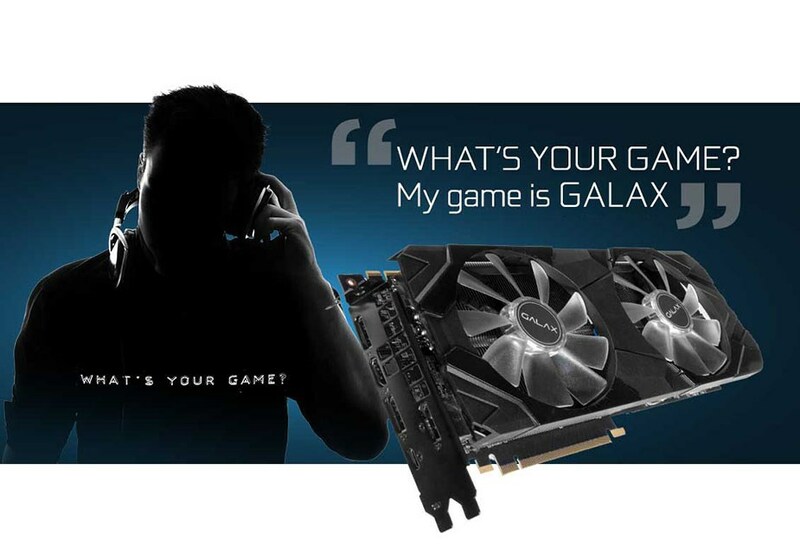 Learn more about the GALAX GeForce® RTX 2080 EX (1-Click OC) Graphics Card on the Official GALAX Website!